Many people perceive the life of an expatriate as exciting, glitzy and glamorous when, in fact, it often is not. Global living can be both positive and negative, as with everything else in life. In the same way a magnet is always positive and negative, so is everything else and one of the greatest illusions people fall into is the search for pleasure without pain, praise without reprimand, or nice without mean, etc. Ironically, it is in looking for those imagined one-sided events in a two-sided universe that we experience so-called ‘suffering’. Some expats experience loneliness, isolation, and even frustration with what they perceive to be ‘missing’. However, often, nothing is, in fact, missing from their lives – it has just been transformed. Unless you ask the right questions, you will constantly be living in a state of stress and disempowerment which can, in turn, effect your health, wellbeing, relationships, family dynamics and even wealth building. People often live by a certain ‘Hierarchy of Values’, and yet many don’t know specifically what theirs are, so they end up minimizing themselves and living according to the values of someone else, which can be overwhelming. Being overwhelmed has several parts to it, but being in conflict about who we are, what we’re doing and/or what we have in life is sometimes a factor. Stress can also occur when we feel there are more negatives going on in our lives than positives and signifies an inability to adapt to a changing environment or country. I’ve come to believe that there are seven areas of life and any area you are not empowered in, someone else will overpower you. You will never have support without challenge, nor challenge without support. Life is a beautiful balance of pleasure and pain, yet many people live in a world of illusion and fantasy, rather than one of balance and presence. Dreams go hand-in-hand with nightmares and I have seen many examples of this in the expat and global community. This is why it’s so important to ask the right questions in order to dissolve the perceived challenges rather than live in world of pain or negativity and become a victim of our own thinking and perceptions. We will tend to blame others, our spouse, society, the rules and regulations of the host country, etc., rather than take control of our own lives and our own thinking. This leads me to the next mistake I often see with expats, particularly the trailing spouse. They don’t have a plan for their lives. I believe that if you don’t have a plan for all seven areas of life – if everything is just what comes up today and if today isn’t a good day, and you don’t have a plan to move it in the direction you want it to be – then you’re kind of wayward and dependent on other people’s lives and other people’s decisions and plans which are out of your control. If you live your life according to other peoples’ plans and those plans go wrong, then you have no way of correcting them. In fact, if you don’t know where you’re going, you will end up somewhere else and if that’s abroad in a country you didn’t actually really want to go to deep down, there could be tremendous repercussions in the long run. I was quite shocked to hear recently how so many people are on antidepressants and drugs. What does that mean? It means they are perceiving themselves in such pain and/or depression, and they have a sense of hopelessness about their lives that they feel they need drugs in order to deal with it, when in fact a lot could actually be as a result of imbalanced perceptions, comparing their lives to fantasy lifestyles, which if we really look at it in depth, are neither realistic nor attainable. People often also put unrealistic expectations not only on themselves but on others as well. I have known many expats who are lonely and not finding their own strengths. They are living in the past comparing what they used to do or used to have and/or where they used to live. They have no direction in their lives and Parkinson’s Law states if you don’t fill your day with high priority things, it will automatically get consumed with low priority things. An excerpt from the book Stop Not Till The Goal Is Reached (Maha Sinnathamby) sums it all up: “Way too many people are living a life that is not theirs to live. They live their lives according to what others think is best for them, they live their lives according to what their parents (or spouse) think is best for them, to what their friends, their enemies and their teachers, their government and the media think is best for them. To what society thinks is best for them. They ignore their inner voice, that inner calling. They are so busy with pleasing everybody, with living up to other people’s expectations that they lose control over their lives. They forget what makes them happy, what they want, what they need… and eventually they forget about themselves”. If you want to live a fulfilled life and make the most of your global experiences, wouldn’t it be wise to balance out all those imbalanced perceptions causing you so much pain? The quality of your life is based upon the quality of the questions you ask. What will it cost you ultimately in your health, wellbeing, relationships, family dynamics, work situations and wealth building if you don’t? Susan Dellanzo is an International Relationship, Health & Wellbeing Specialist dedicated to empowering and inspiring her clients to new levels of life fulfillment by reducing stress, resolving conflict, finding their true identity, improving relationships as well as optimizing physical health, wellbeing, beauty and vitality. 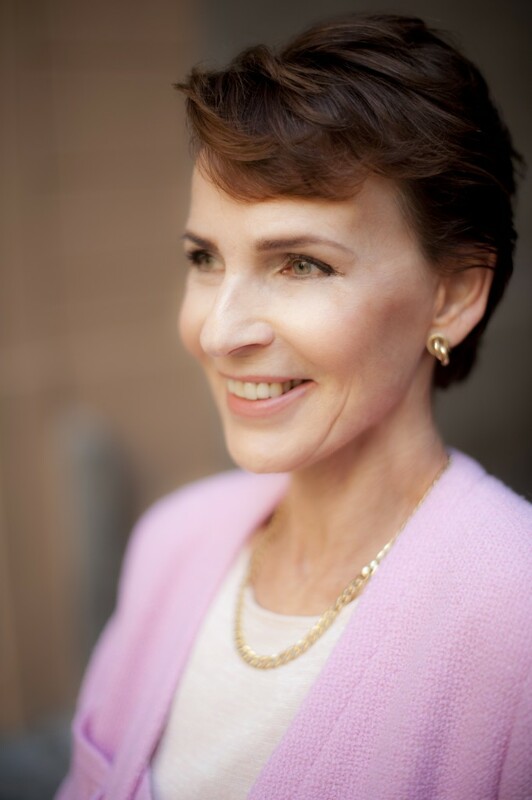 Born and raised in England, Susan has had a life-long interest in personal development, universal laws, health and beauty, and the mind-body connection. She has lived in various countries including Belgium, Canada, Italy and the Middle East. She speaks several languages and presently lives in Switzerland. 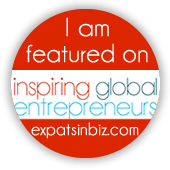 She has also travelled the world as an International Business Consultant. Visit www.susandellanzo.com for more information.